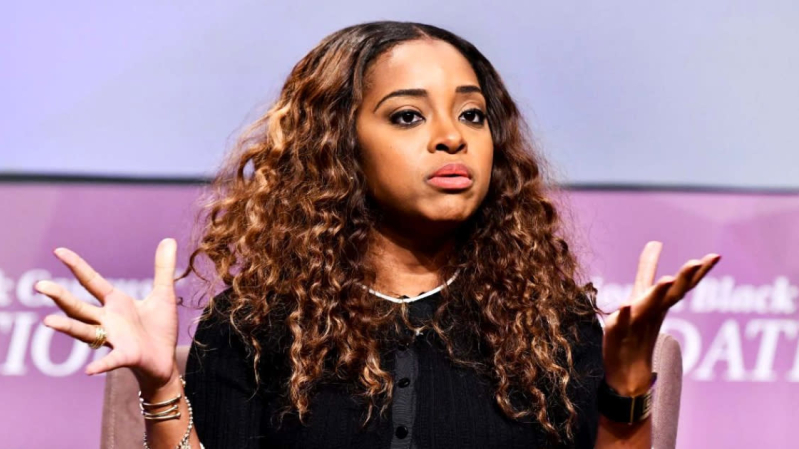 This past Sunday (Oct. 15), activist Tamika Mallory was kicked off an American Airlines flight on her way home from attending the 2017 REVOLT Music Conference, citing discrimination and "white male aggression. During a press release held Tuesday afternoon (Oct. 17) discussing the incident, the co-chair of the Women's March movement made several demands, including asking for an in-person meeting with the airline, a formal apology and a policy change to protect people of color. During her statement, she also drew a parallel from Rosa Parks' fight for equality, comparing the past movement to that of today's. "We have to look back at history to be able to understand where we are today," Mallory stated. "We have to be able to look back and see that Rosa Parks was a woman who sat down on that bus just like me today. It wasn't about her. She didn't sit down on the front of the bus because she wanted some attention or she just didn't like, you know, the bus company. She sat down on that bus and her fight was about equality." Mallory then continued on, explaining how Rosa Parks is an influence of hers and how she hopes to do her part to continue the same fight for equality, especially when it comes down to helping protect those who may not be activists with the same resources she has. "And today, it is the same for me," she continued. "I am not here just for American Airlines to call me and cut some personal deal with me in a corner room by ourselves. I want to ensure that their policy changes to protect other people who look like me, who may not have had the opportunity to lead the Women's March or be an activist that can reach out to people like Puff and others who will support me. " "I want to make sure that those people are protected and I think that's where the parallel is," Mallory concluded. "Clearly, I am not a Rosa Parks. But I certainly would like to live within the spirit of being a freedom fighter in which she was." Listen to Tamika Mallory's full statement in the clip below.